“Lori Stewart is growing into her Development Coordinator role. Since starting in July, she has been connecting with many grads, students, and friends of CCS…listening to their different stories of being touched and changed. Lori and I have been part of weekly coaching sessions over the summer and early fall with Laura Mikuska, a member of the Mikuska Group which specializes in helping non-profit groups build strong relations with their donors. Together we have had discussions on donor-related policies, thinking about a development page on our website, creating and using a fund development plan. We’ve talked about the message we want to send out about CCS – what sets us apart, avoiding jargon and “inside” language, how people find out about us. Lori has paid close attention to the “how to’s” of building a case for support, writing and distributing an appeal letter, receipting donations, thanking donors. We’ve talked about making connections, through visits, phone calls, and the telling of stories. From my perspective, these sessions have helped to demystify the role of “fund development”, to reframe it as building a culture of engagement and generosity and creating an inviting context for people to support the important work of CCS. Lori has re-introduced the Development Lunch at the Learning Circles as a way of engaging our students in building relationships with our wider constituency. And Laura will be doing a workshop with staff and Central Council as a way of empowering them with the permission and tools to act as ambassadors on our behalf. Lori and Maylanne are both passionate about the mission of CCS, but were not very familiar with fund development or the concept of a culture of engagement. Through understanding the principles and processes, they are building their fund development program and engaging their constituents by inviting them to have an impact as a donor. 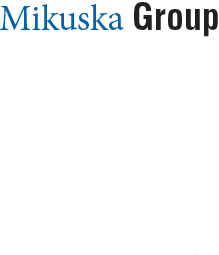 Can Mikuska Group demystify fund development for your organization?